Happy National Week of Making everyone! From June 16th-22nd, individuals throughout the U.S. are encouraged to celebrate innovation, ingenuity and creativity through the power of making! Our favorite craft projects require an item that you already have at home, so don’t throw those tubes away. To embrace the spirit of the week, we’re sharing some of our favorite ways to repurpose toilet paper tubes, straight from our crafty Pinterest board. Make the feeder that brings all the birds to the yard! Summer is the perfect time to provide snacks for our feathered friends. 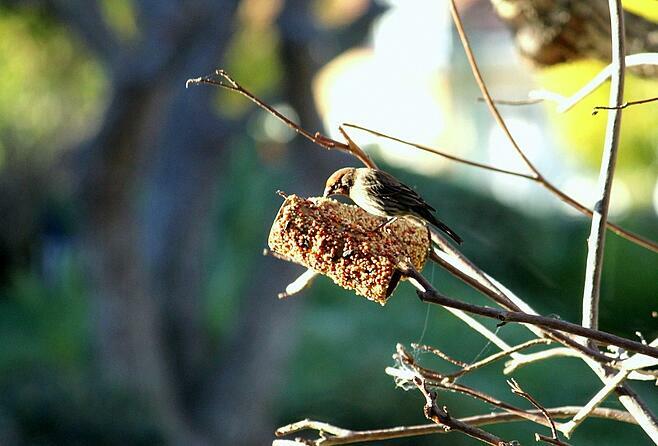 Toilet paper tube bird feeders than be placed on branches, or hung from pipe cleaner. Be wary of hanging the feeder from string to keep birds from getting tangled. If you have hungry squirrels in your yard, you can deter them from taking the seeds by sprinkling a light layer of cayenne pepper evenly over the feeders. Spicy peppers do not effect birds but are a great deterrent for small mammals! There’s no shame in your super hero game! 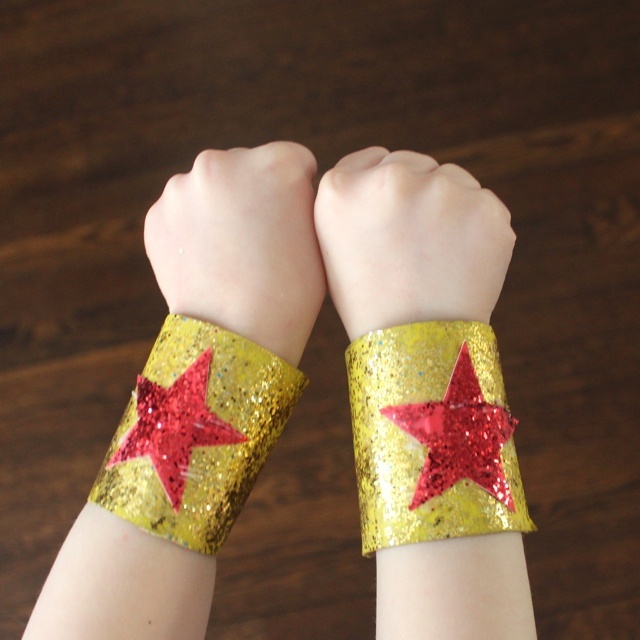 Whether you’re an adult or a child, you can get your super hero on with custom cuffs! Use scissors to make one cut down lengthwise on each tube so cuffs are easier to slip on later. Stuff tubes with crumpled newspaper to help them hold shape for painting (the tubes will get a little soggy and have trouble holding shape, this will help). Decorate them any way you’d like, which includes adding glitter or glow-in-the-dark paint. You can also go the traditional route by making cuffs that emulate your favorite characters. Once dry, remove the stuffing and wear like a champ! We can’t promise wearing these will give you super powers, but we do promise that it’ll be super fun! Lasso of Truth not included. 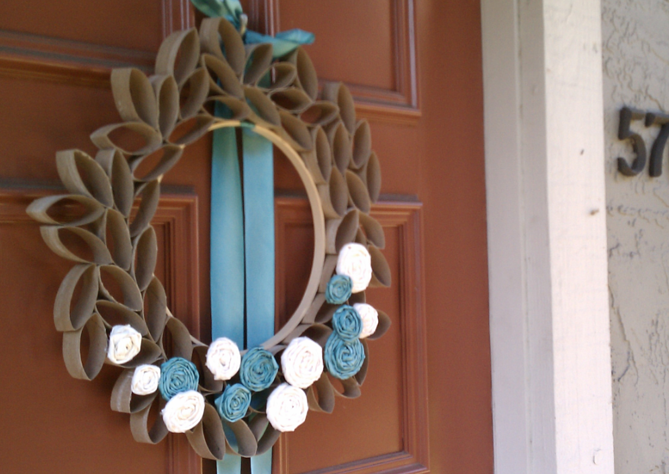 You can have a gorgeous wreath by recycling toilet paper tubes! Design possibilities are endless, but when pressed flat on one side and cut into strips width-wise, they can easily be transformed into ‘leaves.’ You can paint the tubes prior to cutting if you’d like them all a specific color, or, you can paint each leaf after cutting if you’d like an array of colors. Glue each leaf piece securely around the hoop and then onto each other any way you’d like. To make ribbon flowers, see the instructions here. Once finished, tie a piece of ribbon through the wreath for easy hanging. Then, voilà! You have a beautiful, lightweight, inexpensive wreath. Get groovin’ around the house with these music-makers. They are super easy to make and use materials already in your home! 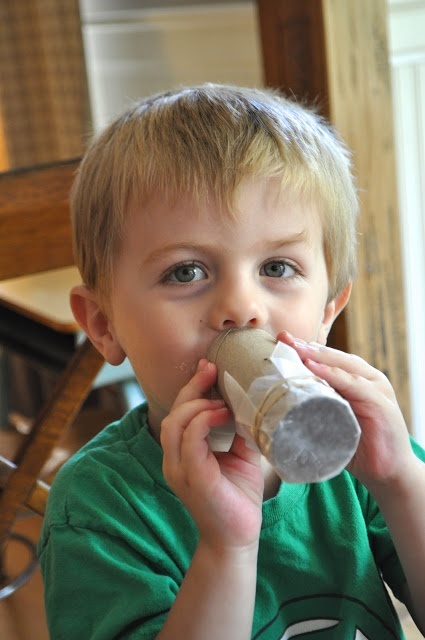 Using paint, markers or crayons, decorate a toilet paper tube however you’d like. Cover one end with a piece of wax paper, enough to drape over the sides and be secured with a rubber band. Then, hum or sing into them wherever you go! Don’t you hate it when you have more vehicles than you have space to store them? Get crafty by creating your own custom car garage! Yes, you can finally have a landing pad for your private helicopters too. Whew! Decorate a small box using paint and stickers- this box will provide structure for the garage. Once dry, lay toilet paper tubes down inside the box until snug, creating a honeycomb enclosure for your cars. You may also secure each tube with glue. If you wish, additional pieces of cardboard can be used to create ramps and extra tubes can be used to create pillars. Every King, Queen, and those in-between need a castle. Building one may seem intimidating, but we grantee you won’t find cheaper construction or real estate than this! The cone roofs are easy to create, simply trace a small plate on paper. Cut out the circle, cut the circle in half, and line the straight edges up. To see photos of the step-by-step process, click here. Cones can then be glued to the tops of toilet paper rolls. Doodle arched windows for full fancy effects and cut slits in towers for easy stacking. 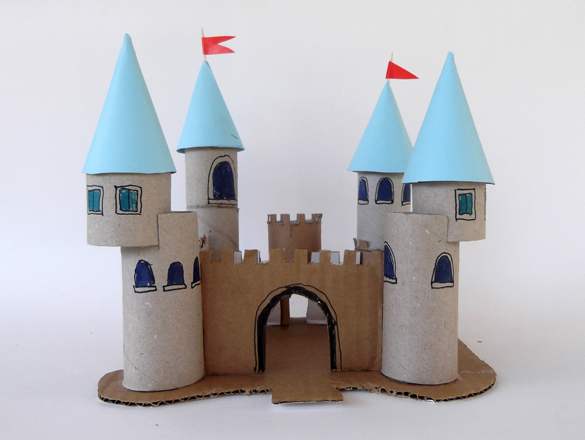 Extra cardboard pieces can be used for the rest of the castle, which can look however you’d like. Stabilize everything by gluing it onto a large cardboard base. Top it off with flags made from paper and toothpicks! We hope you have a blast during the National Week of Making! It’s always fun to find new and interesting ways to repurpose everyday objects and it’s a good work-out for your brain. Don't forget, if you don't end up using all of your saved tubes, they're recyclable! For more #WeekOfMaking ideas be sure to follow us on our social media platforms.